Simply scan: the LI4278 is the first wireless Bluetooth linear imager from Zebra. It scans not only 1D barcodes on printed media but also from displays and monitors both reliably and quickly. Particularly in retail, you easily implement mobile barcoding measures with coupons or personalised customer cards. The scan engine impresses with its 547 scans per second and guarantees high speed. Bluetooth 2.1 ensures for secure data transfer, and the user remains flexible at all times in the work area. 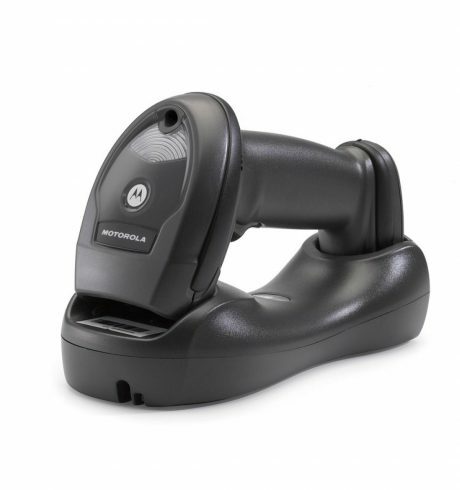 Beyond its range, the LI4278 saves up to 500 barcodes in batch mode, until contact is re-established. The single circuit board construction gives the device added longevity, making it a good companion for use in light industry. It withstands drops from a height of up to 1.8 m, dampness and dirt, plus the powerful battery performs for a longer period than a normal shift: up to 57,000 scans per charge. In addition to the standard charging station, you optionally receive cradles for presentation use, or simply continue to use that of its predecessor, the LS4278.